So who doesn’t love Jeopardy?!?! I personally like the Teen Tournament or the Kid’s Jeopardy episodes because I usually know all the answers hahaha! 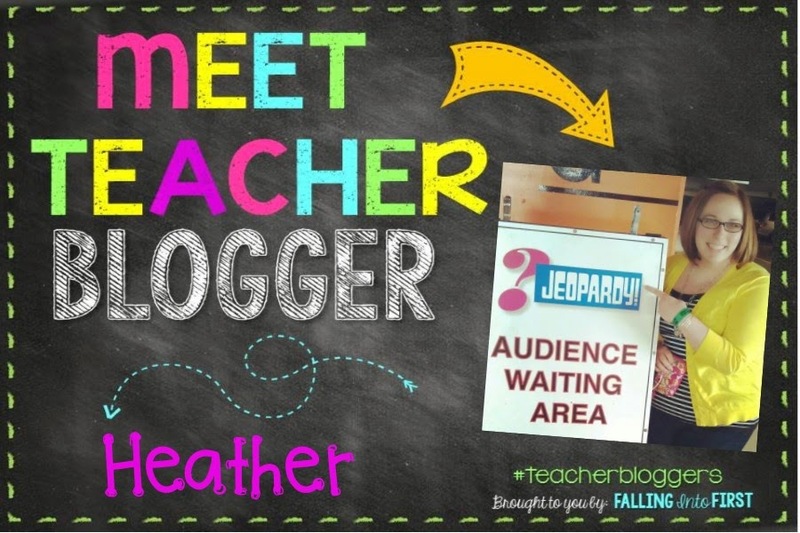 That picture on my "Meet Teacher Blogger" picture is from when my mom, sister, and I went to LA and we were able to be in the audience of Jeopardy – FUN!! I am new to the blogging community and thought this looked like a fun post! 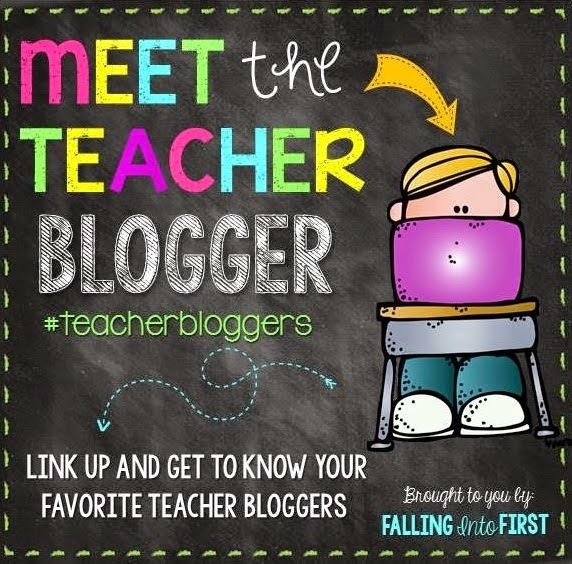 Thanks so much to Falling Into First for doing this! This will be my 11th year teaching. I have been at two schools, taught second grade for one year, and the rest have been with my kindergarten friends! I love teaching kindergarten! It is such a neat age and watching them learn new things is one of my favorite parts about teaching kindergarten. My husband and I live in Maryland and we have two furry children – a cat and a dog. 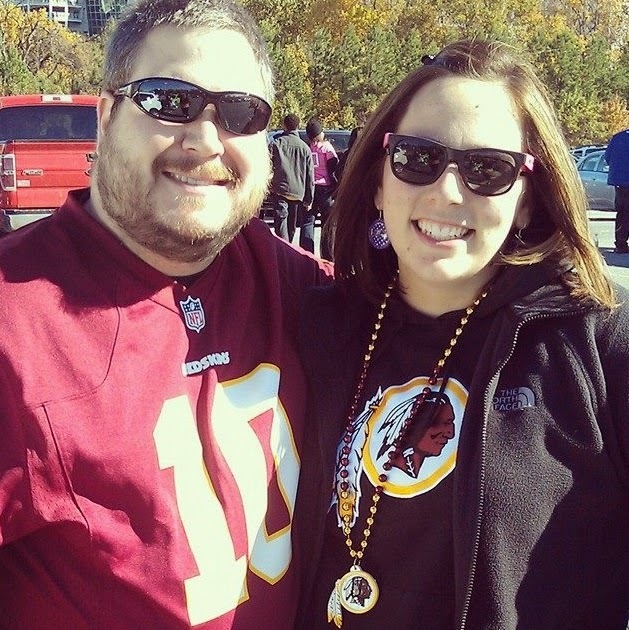 We are big football fans and love cheering on the Baltimore Ravens and the Washington Redskins. We also love traveling and taking day trips. 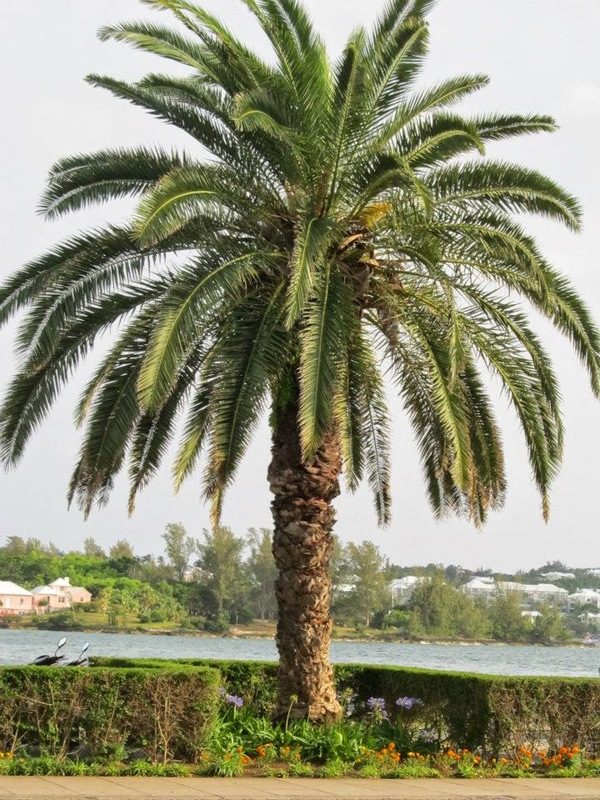 One of our favorite trips was a trip to Bermuda! It is absolutely beautiful there and a place I didn’t realize I would enjoy as much as I did. Even though I'm dressed in Redskins gear, I'm still wearing my Ravens earrings!! Love this picture from Bermuda!! Movie: Overboard, The Wizard of Oz, Sweet Home Alabama, 13 Going on 30, and I'm a sucker for most "Chick Flicks"
If you weren’t a teacher, what would you want to be? I have always wanted to be a teacher since I was younger. I was one of those kids who would set up stuffed animals and dolls and play school. However, if I was not a teacher, I would want to have a bakery. 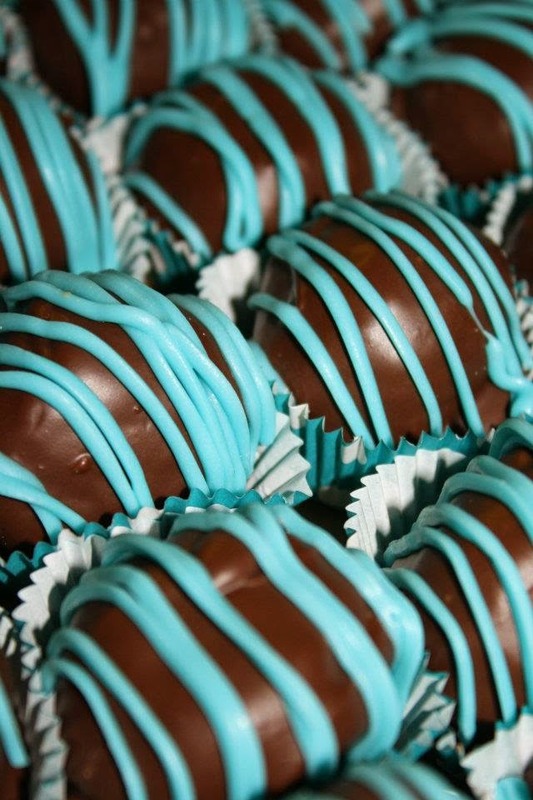 I love to make cupcakes, cake balls, peanut butter balls, cookies, and many other sweet treats! I took some cake decorating classes because I didn’t have the patience for cake decorating and now I love it! Peanut Butter Balls - A favorite of soooo many people! One of my most requested treats to make! One of my favorite batch of cupcakes that I have designed! This was one of my first times using fondant on cupcakes and I LOVE how they turned out! 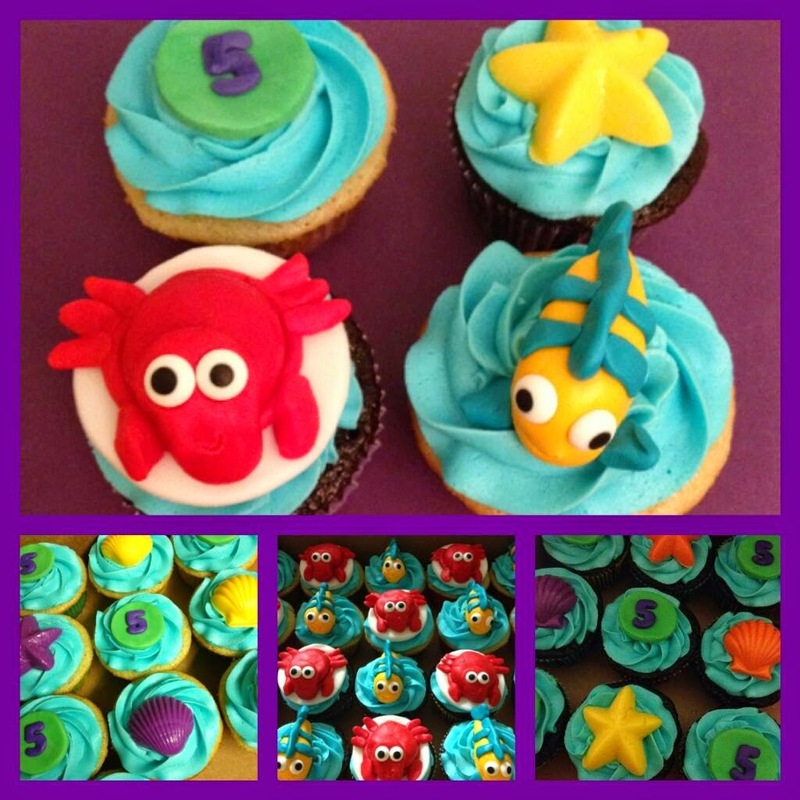 Another one of my favorite cupcakes just because they are so fun! “I think I need to delete my Pinterest account...said no teacher EVER!!" Hahahaha!! What did we do before Pinterest ideas?!?!?! It’s your birthday and you can invite anyone (dead or alive) to the party. Who are you inviting? I would obviously be inviting my family and friends to my birthday, but if we are talking famous people I think I would like to have Kellie Pickler sing at the party (I just love her from back when she was on American Idol! ); Reese Witherspoon and Jennifer Lawrence because they are my favorite actresses; and William and Kate and their adorable son just because I think they seem like the nicest people!! If someone wrote a book about your life, what would be the title? You get to pick one superpower. What is it? Some sort of healing superpower since I have broken my foot…not exactly how I pictured the beginning of the year! Yikes! What’s your favorite quote or saying? If you had to sing one song on American Idol, what would it be? WOW those are two COMPLETELY different songs!!! During the summer I am a night owl for sure, but during the school year I like getting up early and being more on a routine. 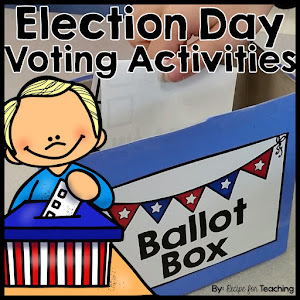 What’s your favorite resource that you’ve created in your TpT shop? 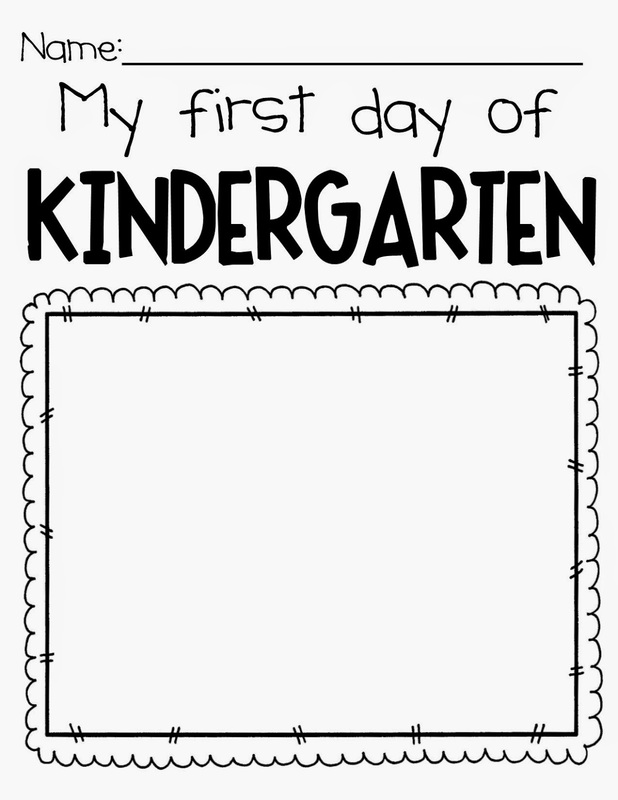 Favorite freebie: First Day of School because over 400 people have downloaded this so I know that other teachers are excited about using this recourse in their classroom! 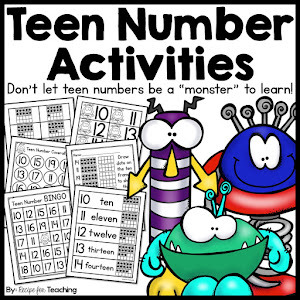 Get your FREEBIE by clicking the picture below (it will take you to my TpT store)!! Favorite item for sale: POP! 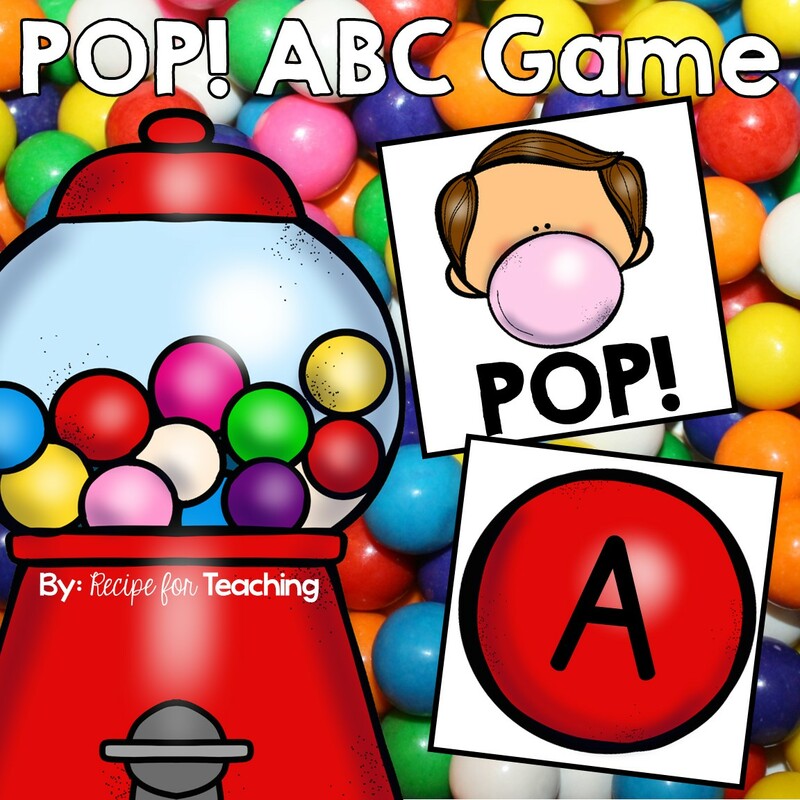 ABC Game because this is such a fun game for little ones! Share something we might not know about you! I can play the flute and piano! You're next!! Click the picture below to link up and answer some questions about yourself!